Whether you’re thinking about a loved one who has past or considering the service you will choose after your own death, many people are not familiar enough with cremation to feel comfortable choosing it. However, cremation still remains a very popular option for a number of reasons. The following should service as an introduction to help you familiarize yourself with what cremation entails. Cremation is a centuries-old method for dealing with the passing of a loved one that involves burning their remains into fine ashes. As with a burial, the deceased is put into a casket. However, instead of burying it in the ground, the casket is inserted into a cremation chamber. There, temperatures of the fire will get up to 1,800 degrees Fahrenheit or 1,400 degrees Celsius. 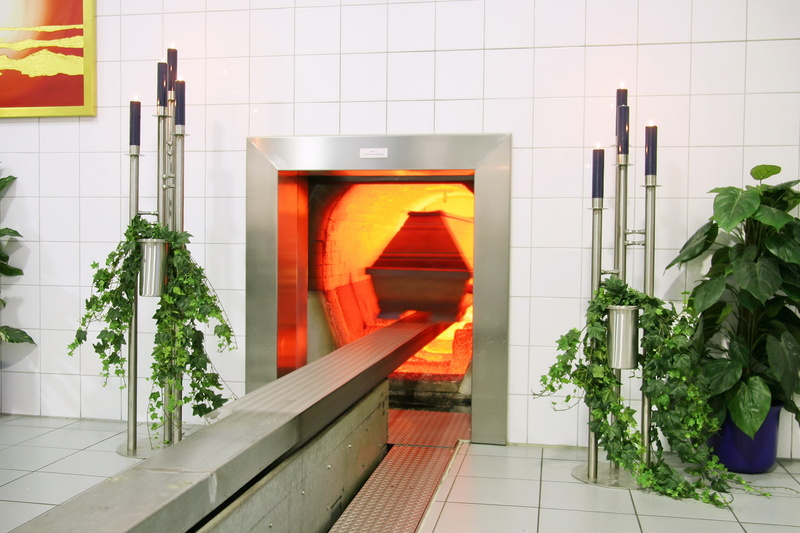 The entire cremation process usually takes about two or two and a half hours, at which point all the organic matter inserted in the chamber is either evaporated or consumed by the heat. What are left is bone fragments. It’s this material that is commonly said to be the cremated remains. These are then carefully removed from the chamber. As the deceased enters the chamber fully clothed, the remains are sifted through to remove any metal through the use of a magnet. Any metal is then disposed of in the proper, approved manner. Some family members wish to watch the actual cremation. Some crematoriums are happy to accommodate such a wish, but you must speak with the providers before selecting a location to ensure this option is available. The cremated remains—or ashes—are first moved to a temporary container. 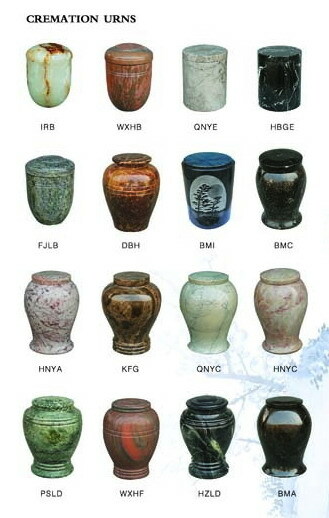 Each crematory has their own they use. This container is then inserted into an urn. The type of urn that is used is decided upon by the family of the deceased. Nowadays, there are countless versions to choose from, so you’ll be able to find an urn that you feel best befits yourself or the loved one who has passed (you may want to decide on an urn now if you’re thinking about cremation for yourself). You should speak with your cremation provider regarding the urn, though, prior to the process. The size of an urn is extremely important, for obvious reasons, but they’ll know which one makes the most sense and, again, you’ll still have a number of options to choose from. To ensure that the cremated remains you receive are a fine powder, the results of the process are then put through a process. By doing so, you get a powdery texture to the ashes. From start to finish, when the ashes are put into the urn, the entire process only takes about three hours. You don’t have to worry about the remains of the deceased as they are carefully labelled the entire time. So you can rest assured the urn you receive will have your loved one’s cremated remains inside. Also, the law mandates that cremations only occur individually. So, again, there is no reason to worry about receiving the ashes of another individual. However, sometimes family members pass away at the same time or within days of one another. In such a case, the next of kin may be able to have both cremated together. If this is your wish in such an event, be sure to make this known, in writing, to family members and loved ones. 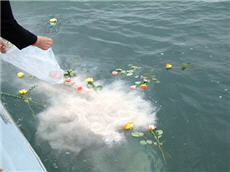 Cremation is generally an immediate option for handling the body of the deceased. However, unlike a burial, it is a completely irrevocable process, meaning there are sometimes delays before the officials will sign off on cremation occurring. If the individual died under mysterious circumstances, for example, or other extenuating details are involved, the process may be stalled. That being said, if it was the expressed desire of the deceased to be cremated, it’s generally only a matter of time before their decision is honoured. What Preparations Need to Be Done? In many ways, the preparation that accompanies a cremation is no different than those that go along with a burial. You can have a wake, for example, and ensure that your loved one is dressed the way they would like, including hair and make-up. Prior to cremation, though, medical devices, like pacemakers, hearing aids, etc. must be removed. When submitted to the high temperatures of the fire, they could possibly explode, which would put the staff at risk. As we mentioned, any metal objects will be destroyed during cremation. Some families prefer to cremate their loved ones in the jewelry and other elements they wore during their life, but this is a matter of preference. Obviously, anything you’d like to keep must be removed before the process can begin. Though cremation is associated with heat, there is also a refrigeration element to the process. Because there is a waiting process mandatory before the body can be cremated, it must be refrigerated. By doing so, decomposition can’t set in, which could potentially pose a health hazard to the staff of the crematorium, the general public, and the family and friends of the deceased. On the other hand, embalming is not necessary for cremation to occur, despite what you may have heard. Some family members decide on it for their loved ones, while other times, it was a decision the deceased made prior to death (again, note this as soon as possible if you wish to be embalmed after you pass). If a wake is to occur, or some other form of public viewing, embalming is necessary to preserve the body. The same is true if the body is to be transported by plane or train prior to the cremation. This is also true if there is going to be a prolonged delay between death and the cremating process beginning. Although many family members may choose a casket for the deceased, they are by no means necessary. However, some crematoriums actually don’t allow them for sanitary and other reasons. In that case, they will use a leak proof, combustible, rigid container that has a cover to it. The family can decide from a number of different versions though. Nowadays, these containers can be made from anything from cardboard to mahogany or even hand-crafted oak. 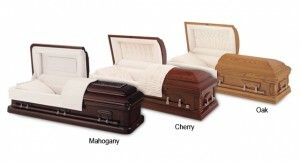 You can also rent a casket, if you like, for viewing purposes. Doing so will save your family money, while preserving the dignity of the deceased during a wake. When it comes time for cremation, then, one of the options above can be used instead. Cremation is not necessarily a substitute for an actual funeral service. So you can still have a traditional funeral if you like. Whether or not you want to have the cremation before or after the funeral service is completely up to you. Of course, a funeral is by no means necessary either. While many people want ashes in an urn, it’s also traditional to scatter the remains over a location that meant something to the deceased. So long as you have permission to do so, this should not be a problem. Hopefully, this has helped better inform you about the cremation process. If you have any questions, contact a local crematory today.